← eBooks versus Print: do I have to take sides? 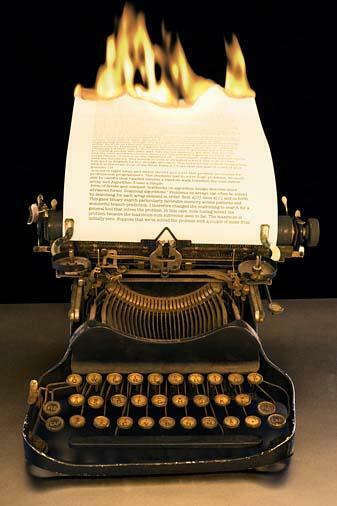 I always hated my typewriter (back in the stone age that was my youth). It was awkward to handle, the keys skipped, and the letters were uneven (which irritated the living hell out of me). The only redeeming feature was that I could yank the paper out of the typewriter in a fit of temper (this was a time when anger management workshops were non-existent). I do, however, have a deep affinity (passion, even) for paper and pen. Fountain pens, especially. And Moleskine® notebooks. And index cards, post-it notes, yellow highlighters, Sharpies®, and storyboards. Did you know that the wonderful black Moleskine® notebooks have been used by writers, poets and artists for over two centuries? Yes, Picasso and Hemingway carried these notebooks everywhere. Imagine what it would be like to catch a glimpse of the creative genius penned on each well-worn, hand-stitched page! These infamous notebooks were their very own Holy Grail … of a simpler time. 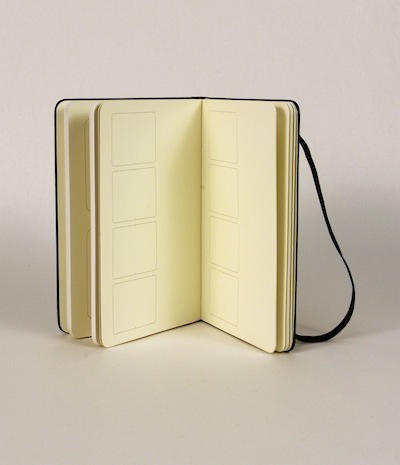 They even have Moleskine®Storyboard notebooks …. I use them, myself – specifically for novel writing. They help me to organize the characters, chapters, plot lines, dialogue, and book flow. I just jot down my thoughts – wherever I am (my pocket Moleskine fits easily into my purse). Okay, this is where low-tech meets high-tech. I transpose my “jottings” from paper to digital. Yessssss, I know that seems like an unnecessary step but it actually helps me –to either reinforce (in my mind) what I’ve written or edit/delete. I look at it as another stage in the quality control process. Now, for those of you who do not want to carry a notebook (Moleskine or otherwise) around, there’s a product called Index Card – a writing tool designed specifically for the Apple iPad. It allows you to capture and store your ideas and notes in your own virtual storyboard. There’s a French saying which goes something like this: “Chacun à son goût” (each to his taste). Low-tech, high-tech, or a hybrid of the two – you be the judge. As for me, I need to go and buy some ink refill. Images via writewritingwritten.blogspot.com, moleskineus.com, and appsforipad.net. 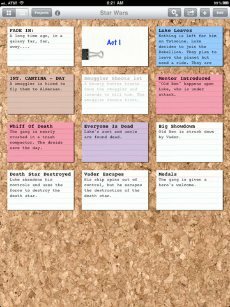 This entry was posted in other musings, writing tips & tools and tagged heatherfromthegrove, Hemingway, index cards, iPad, Moleskine, Picasso, storyboards. Bookmark the permalink.